Sunbelt Midwest is the leading business broker in Minnesota. Our business brokers specialize in the sale of small and medium sized businesses in Minnesota and surrounding areas. Our team of professional business brokers are fully licensed to sell Minnesota area businesses of all sizes. In addition to our dominant market presence in Minnesota, we belong to the Sunbelt Network with over hundreds of offices worldwide. No other business broker in Minnesota can proactively and confidentially market your business to as many potential buyers as Sunbelt Midwest. Our business brokers can also help you buy a business, determine market value of your business and create a custom exit strategy for your business. 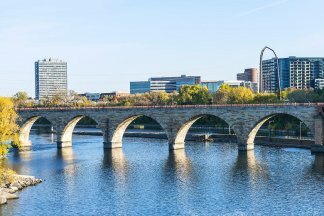 Contact us today to learn how we can help you sell your business in Minnesota.